Where is the Budapest clinic located and how does it look like? Is the Budapest clinic nice and comforting? Our Budapest clinic is located in one of the leafy suburbs of Budapest. This nine-chair clinic is proud of its high-tech treatment such as CT, professional polishing with airflow; long-lasting tooth-whitening using the most effective equipment; advanced endodontic methods using the latest instruments; extremely precise preparation of teeth with the aid of microscopes etc. using the newest generation equipments. Radio photography is done in the clinic. 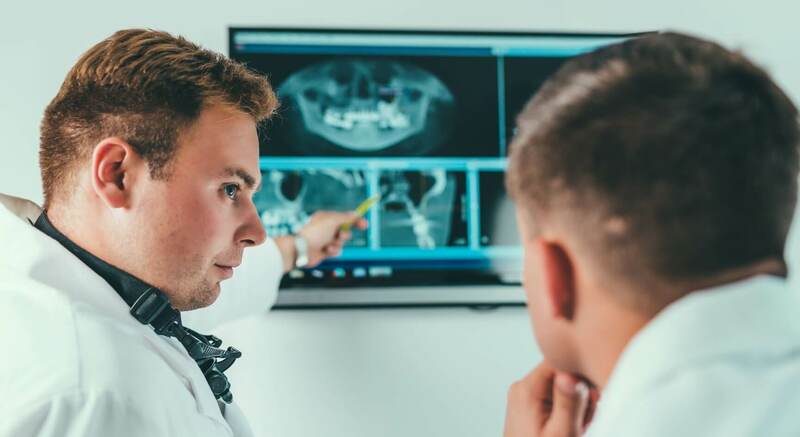 It is done by either a CT scan that produces full 3D reconstruction in less than 20 seconds or takes the form of digital intra-oral and panoramic X-ray photographs stored on computer, which are made available to our patients in print-form, on CD, or by e-mail. In this way, every step of the treatment is saved and stored in VitalEurope's up-to-date computer system. The Budapest dental clinic covers more than 1000m2 and is a luxurious environment featuring spacious, air-conditioned waiting rooms with Internet access and well-equipped treatment rooms manned by highly-qualified dentists. Crowns, bridges or implants can cost 3-4 times more in UK dental facilities than in Hungary’s European standard dental facilities. Our services will suit you if you are in need of crown, bridgework or dental implants not available on the National Health Service in the UK. Savings of thousands of pounds can be made even after flights and accommodation. The exact amount of savings will be displayed in your treatment plan. For Budapest treatments you are required to pay visit by visit, there is no need to pay the whole treatment in one. Patients can pay with cash or by card in either GBP, EUR or HUF. Payments in other currencies are subject to the daily “buy” exchange rate as set by the Raiffeisen Bank. Credit and debit card payments (Visa and Mastercard) are subject to an additional 1.5% surcharge, and are subject to the daily “mid” exchange rate as set by the Raiffeisen Bank. Unfortunately we can not accept personal and traveller's cheques. Payments by bank transfer in GBP and Euro are accepted if the funds are received prior to the start of treatment. If there are any changes made to your treatment plan, you will be billed or refunded accordingly. These payment conditions are valid for VitalEurope's Budapest Dental Clinic only. If you intend to pay by credit card, please inform your bank in advance about the amount and that the transaction will take place abroad. Accommodation payments are made at your hotel, apartments are to be paid at the clinic. The tickets for travel are arranged personally by you or with the help of your local travel operators. VitalEurope strives to be environmentally conscious and continue to find ways to help our environment. If less material is used, less needs to be manufactured - this means huge savings of energy, natural resources and water which are needed to extract / harvest the resources and manufacture the products. Even renewable resource (like planting trees for paper for example) we are still wasting resources like water, energy and fuel to transport the raw material. We select and collect our garbage separately to recycle, use energy saving lighting, dishwashers, dryers and washing machines. We are proud to offer digital X-rays reducing radiation to our patient, our team and our environment by 90% compared to standard film. Patient love our email confirmation system that saves paper, energy and time. 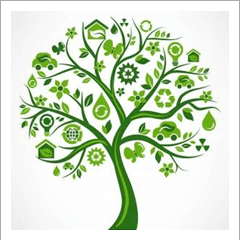 CAD-CAM crowns also help us reducing the carbon footprint. Yes you can, our Budapest clinic is situated on the ground floor with clear access for wheelchairs. Before departure please notify us so we can help you organize your ground transport.